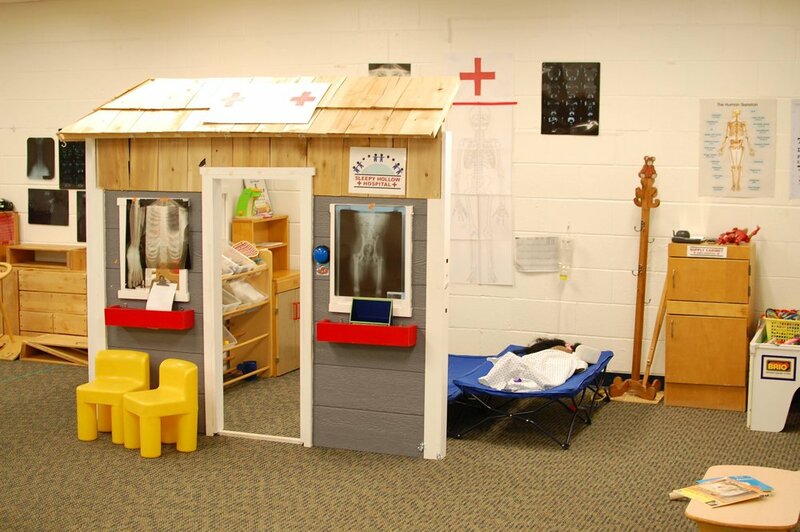 Our pretend room is a treasured tradition at Sleepy Hollow Preschool. 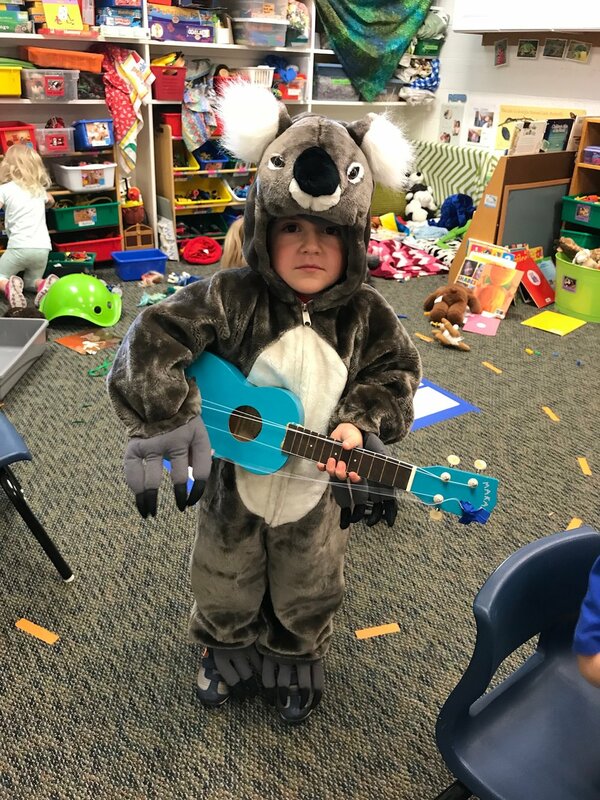 It is a magical place for friends to play, imagine and learn. 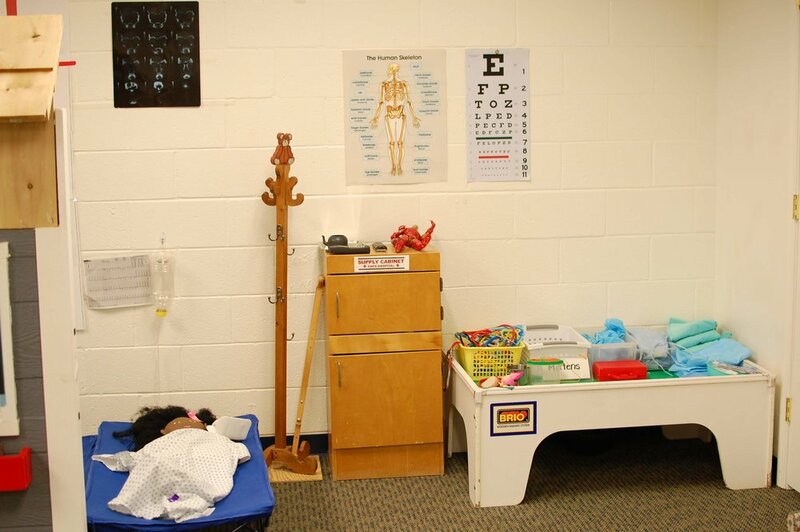 Named for Ann McBride, a former teacher and parent who shared her wonderful talents with Sleepy Hollow Preschool in a relationship that began nearly 20 years ago, the room truly represents the best of Sleepy Hollow. 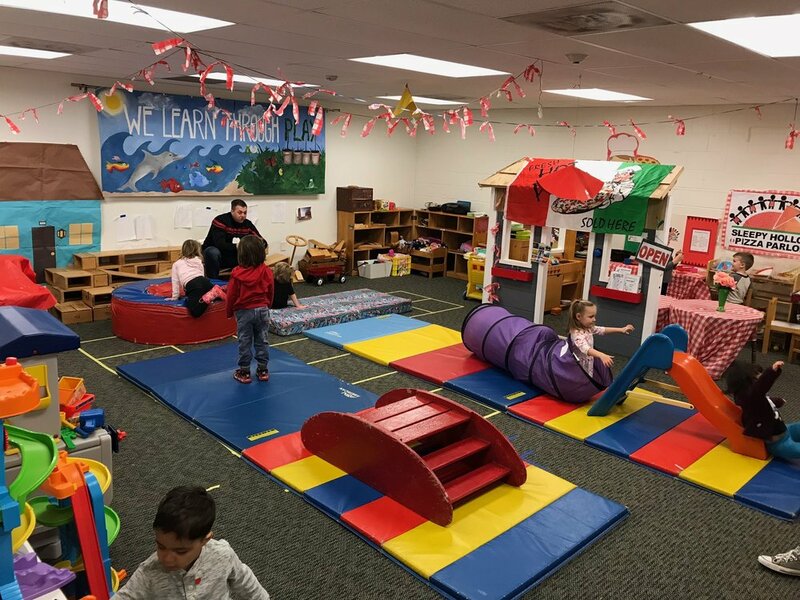 Every few weeks a dedicated and super-creative committee of parents come together to transform this play-space into a new fantasyland for imaginary play to take off. Children delight in seeing what new play-space has been created for their enjoyment. 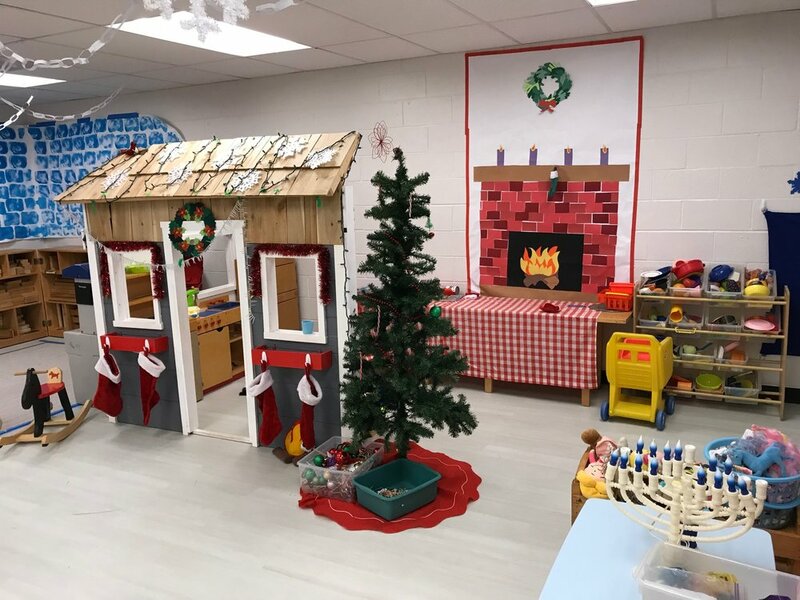 The pretend room has been transformed into the Space Station, a Pizza Shop, a Hospital, a Zoo, and a Winter Wonderland, to name but a few themes. 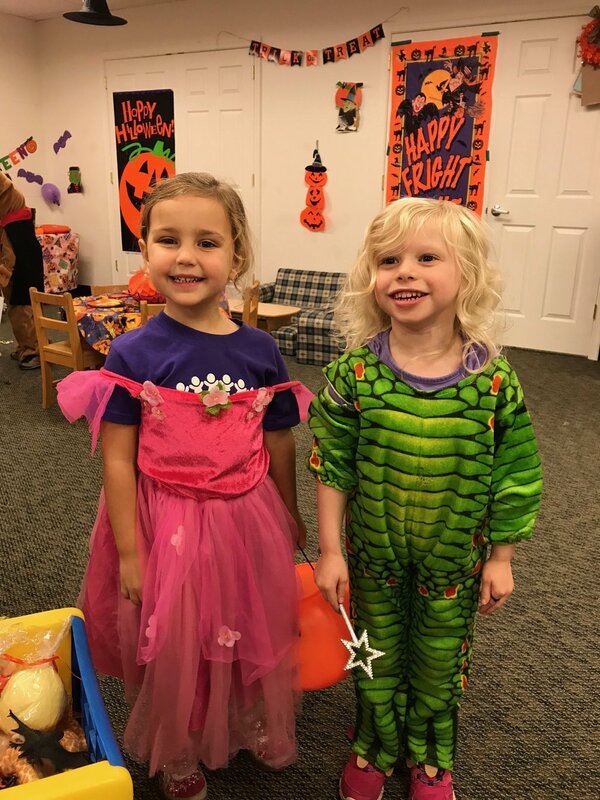 Experience The Magic with us at Sleepy Hollow!